A fresh take on roast chicken, this recipe leaves the meat tender, moist and perfectly infused with a citrus-flavor, nicely complemented by the mingling tastes of sage, rosemary and thyme. The colors are beautiful, and this goes really well with a side of quinoa (see Martha’s Recipe) or a dark veggie green. 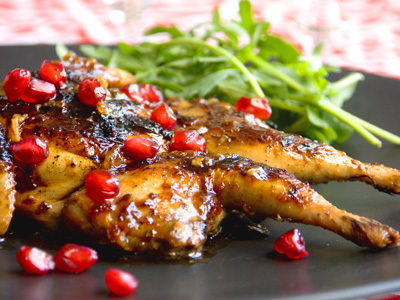 This is a perfect recipe for a shabbat dinner chicken, or for a holiday, or just for having a nice, belly-warming simply delish meal. Inspired by the Barefoot Contessa Ina Garten’s Roast Chicken, Shira has made a few changes to this recipe to make it her own. Bon appetit! 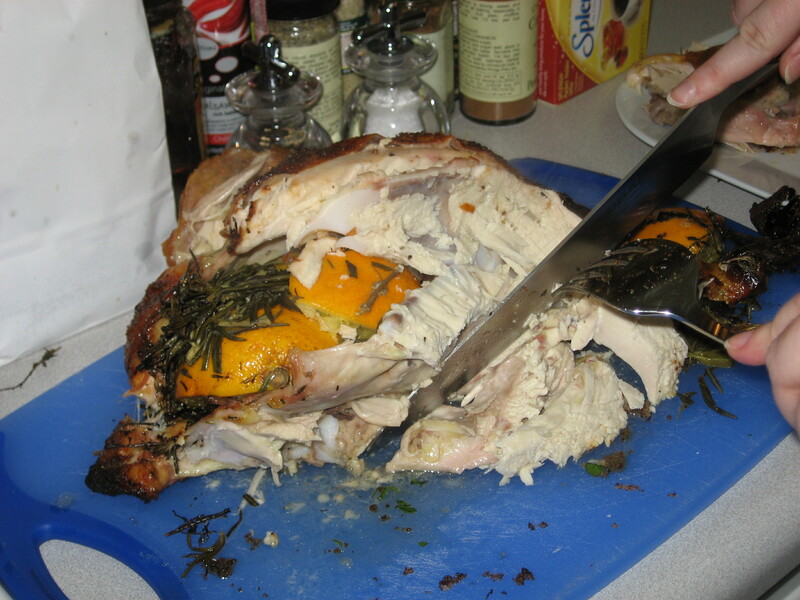 Carve and serve with remaining sprigs of herbs and any remaining lemon, orange or garlic slices. Sprinkle with freshly chopped parsley. 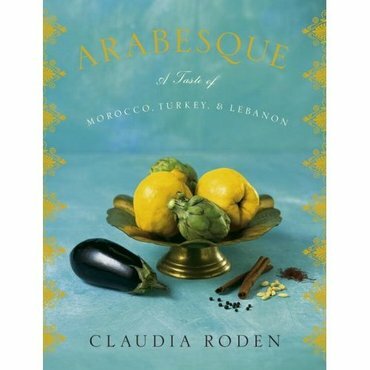 Who does not love Claudia Roden? 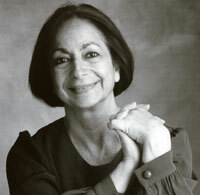 To read more on Claudia Roden, click here. 2. Add the chicken pieces, season with salt and freshly ground black pepper, and pour in about 300ml/10fl oz of water. Simmer, covered, turning the pieces over a few times and adding a little more water if it becomes too dry. Chicken Marbella – Who Knew?! So apparently we’ve been left out of the loop. I had dinner at my friend Shira’s the other night and she impressed us all with this excellent Chicken Marbella from an apparently famous and must have cookbook: The Silver Palate. The printed out recipe came from Leite’s Culinaria. What a site. Check it out. Shira was kind enough to send me home with the recipe and olives out of her own refrigerator, and I made it last night for dinner and it was delish. I made it with boneless, skinless chicken breasts and cut down the proportions. I’m thinking Martha Shem-Tov would be able to avoid all the sugar in there by substituting orange juice in. It was the first time I made it – I think I will try that next time. In any case – it’s easy and full-flavored. Thanks Shira. The recipe below is for 10-12 servings. I cut the recipe in half and did NOT put in as much sugar (poison!) as it calls for – but I don’t trust my mathematical skills to include my version here. I threw the chicken into a ziploc bag with the marinade in the AM, and then just pulled it out around 7pm. I think this’d go nicely with quinoa on the side. Mix the garlic, oregano, salt & pepper, vinegar, olive oil, prunes, olives, capers and juice, and bay leaves. Rub the chicken well in the marinade – put it all in a big ziploc bag and refrigerate – MINIMUM: 2 hours – but better overnight. 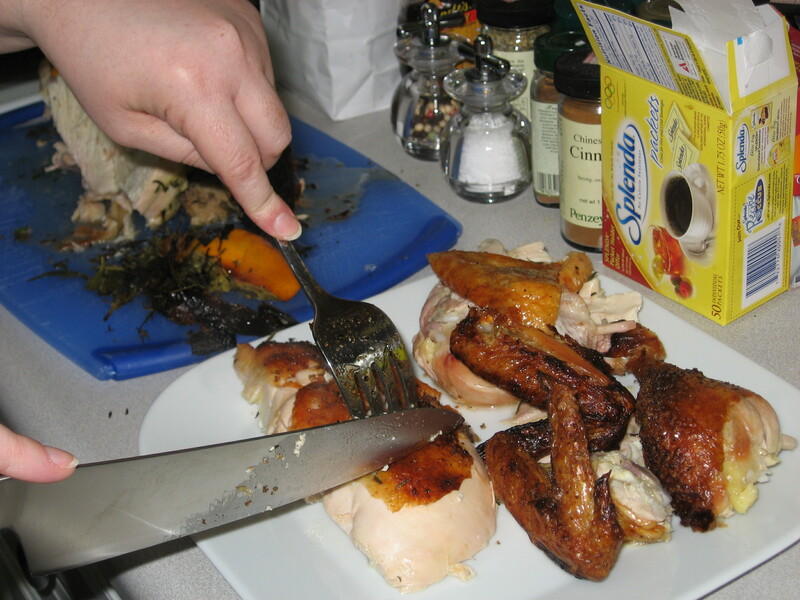 Arrange the chicken in shallow baking/roasting pans – spoon the marinade over evenly. Bake for 40 minutes – basting every 10 minutes with the pan juices. Serve with the juices – you can garnish with parsley or cilantro.